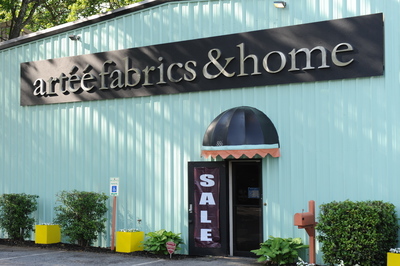 Welcome to artéé home - Natick MA @ the Natick Mall! Now in the Natick Mall! We have the ability to bring to you the lowest prices anywhere for fabrics and trims and readymade panels, decorative pillows. We have a large collections of readymade panels and pillows ( and pillow fillers ) to take with you. A large collection of fabrics is available on display.